When it comes to towing on the job, there is no room for messing around. Either your equipment can get it done or it falls to the wayside. 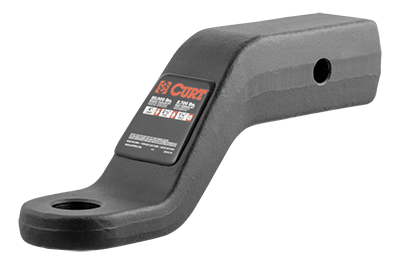 Give yourself the advantage with a CURT commercial-duty forged ball mount. Defying all preconceived ideas about heavy-duty towing, these solid steel monsters are packed with the strength necessary to tow virtually anything your commercial receiver trailer hitch can handle. The secret to their strength is their one-piece, zero-weld construction.